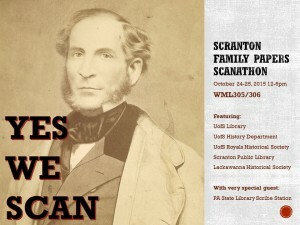 Scranton Family Papers Scanathon: Success! 2 Comments on Scranton Family Papers Scanathon: Success! 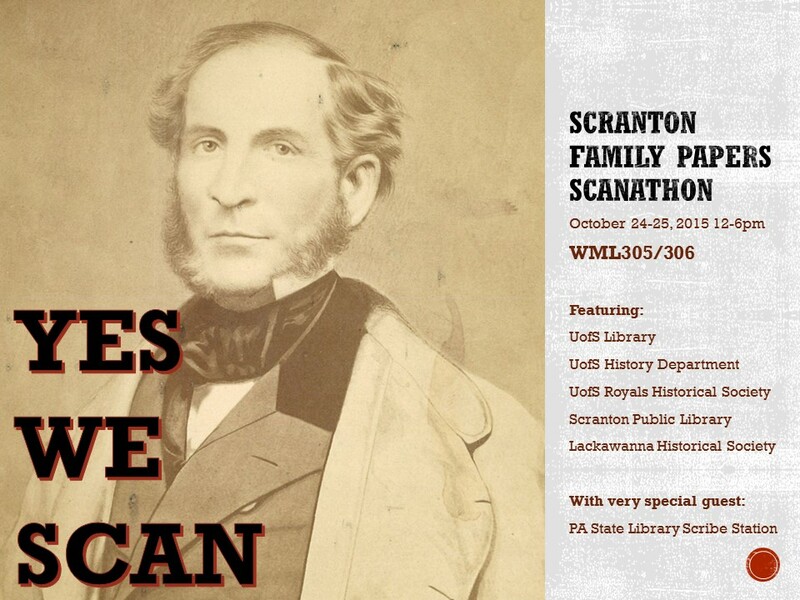 As part of the City of Scranton’s yearlong 150th Anniversary celebration, the Weinberg Memorial Library hosted our very first Scanathon this weekend. In collaboration with the University’s Department of History and the student-run Royals Historical Society, along with community partners the Lackawanna Historical Society and the Scranton Public Library, we set out to digitize materials from the Scranton Family Papers Collection. 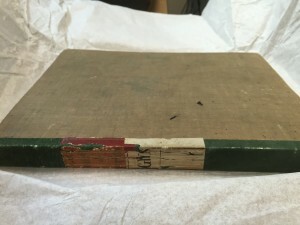 The Lackawanna Historical Society’s Scranton Family Papers collection includes 19 bound volumes of over 9,000 letters written by George W. Scranton, Joseph Hand Scranton, and William Walker Scranton, dating from 1850 to 1917. The Scranton Family collection is quite large; the full set has over 11,000 pages. 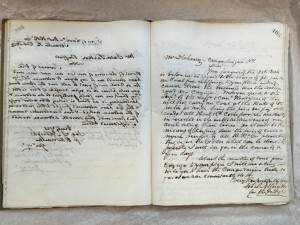 Our goal for this Scanathon was to completely digitize the first two volumes of the collection: the George W. Scranton Papers (approximately 414 letters, 625 pages), which cover the time period June 1850 through June 1854. The Historical Society also loaned us a box of loose correspondence from the Scranton Family, with letters to and from Joseph H. Scranton, Seldon T. Scranton, George W. Scranton, and William W. Scranton, dating from 1841 through 1874. We knew we’d need a lot of help, and the History Department stepped up. Faculty member Dr. Adam Pratt came and brought students from his HIST140: Craft of the Historian course. The Royals Historical Society also volunteered in force. 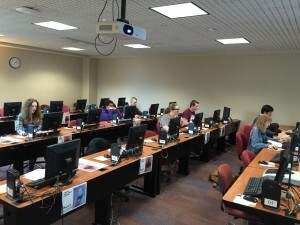 In total, more than 30 students came to the Library to work three-hour shifts. Staff members from the Lackawanna Historical Society and Scranton Public Library joined in, working side by side with our students. Bound volumes are always difficult to scan. Luckily, we got some extra help from the State Library of Pennsylvania, which loaned us their brand new table top Scribe Station for the weekend. 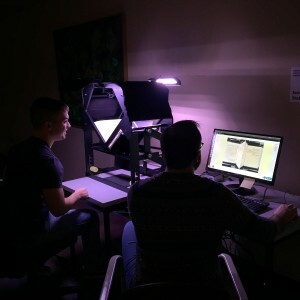 The Scribe Station is part of a new initiative to support the digitization of important cultural heritage materials in the state of Pennsylvania, and we were the first to sign up! 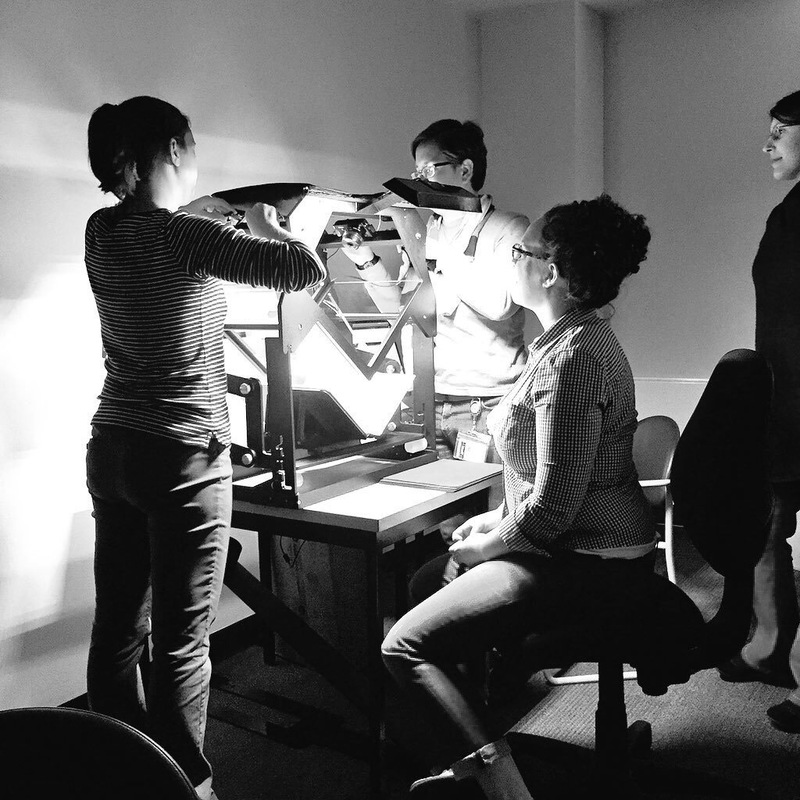 We also used the Library’s flatbed scanners to digitize the loose correspondence. The result? Success! Not only did we completely digitize both George W. Scranton volumes, we also made a serious dent in the loose letters. Over the course of the weekend, volunteers created 1,608 digitized images (over 20 GB). Why digitize? The most important reason is access. Up until now, the George W. Scranton volumes have only been accessible to researchers visiting the Lackawanna Historical Society in person. Digitization and online publication will make the letters much more accessible (and full-text searchable!) to historians, students, genealogists, the citizens of Scranton, and any other interested members of the public. Digitization also helps to protect and preserve the papers, which are in rather fragile condition – most researchers will be able to use the digital versions, reducing the wear and tear and decreasing the risk of damage to the original physical volumes. The Scanathon wasn’t just about scanning, though. In order for digitized images to be discoverable and useful, they need to be described. In between shifts on the scanners, our volunteers captured descriptive information (called metadata) about the letters and prepared a spreadsheet that we can use to prepare the digitized images for online publication. Lackawanna Historical Society volunteers had previously prepared transcriptions of the George W. Scranton volumes (thank you!! ), which our volunteers copied into our metadata spreadsheets. 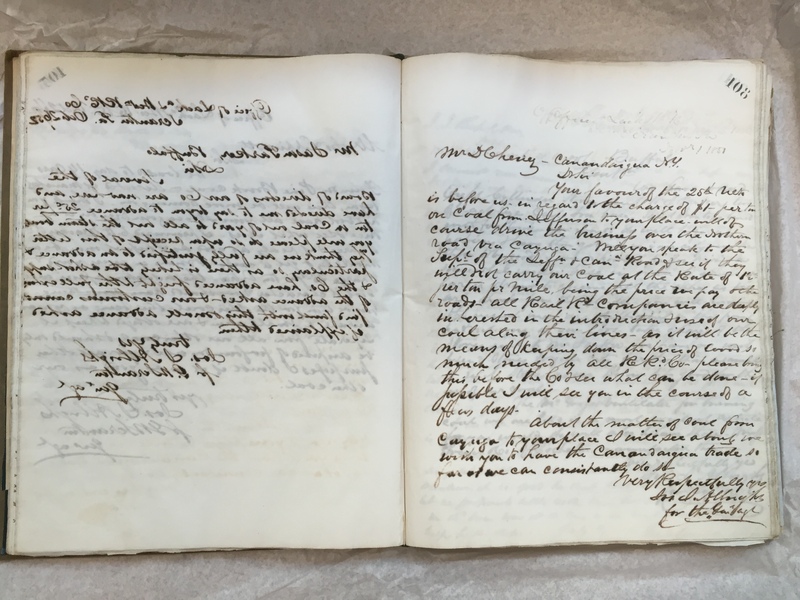 We also got a start on transcribing the loose correspondence — our students really stepped up to the challenge of reading scrawling, 19th-century cursive. Update: All digitized letters and documents are live in the Scranton Family Papers digital collection! Early next year, the letters will also be discoverable in the Digital Public Library of America (DPLA) via the brand new Pennsylvania Digital Collections Project service hub. The University of Scranton and the Scranton Public Library are both founding members and active participants in this statewide initiative, so we’re thrilled to be able to give this new digital collection the exposure it deserves. This was our first Scanathon, and it was certainly a learning experience. Perhaps the most important lesson learned was how wonderful it is to have help and support from so many people. Our deepest thanks go out to: Weinberg Memorial Library faculty and staff (especially Sam Davis, Sheli McHugh, Mary Kovalcin, Sharon Finnerty, Kym Fetsko, Kevin Kocur, Ian O’Hara, and work study Kate Reilly), History Department faculty and students (especially Dr. Adam Pratt and RHS president Julia Frakes), Lackawanna Historical Society staff and volunteers (especially Sarah Piccini and the Martin Family), Scranton Public Library staff (especially Scott Thomas, Martina Soden, Sylvia Orner, and Elizabeth Davis), and the State Library of Pennsylvania (especially Alice Lubrecht and Bill Fee). We’ll scan with you any day! At least we managed to get into the thank you section although we do have first names. While we understand that our months of work transcribing the materials gave us no rights to them, we would have appreciated being informed that this was going to occur and that our work would be incorporated into your spreadsheets. While we have gotten used to the LHS ignoring the work of us volunteers, we would have expected better treatment from the University (which has claims to a Jesuit identity, having taught there many years) and the Albright Library which we have supported for years with volunteer work at the Abington Library.